Experience these magical creatures and explore the Largest and Second Largest Turtle Beaches on the East Coast. Our journey begins as we travel through Deepwater National Park home to some of the most secluded stunning beaches and amazing wildlife varieties on offer. Enjoy the scenic ride as we wind along soft sandy tracks past an array of native plants including ancient grass trees, palm groves, ferns and more. Stopping at Wreck Rock Beach a significant turtle hatching beach and research area allows you to see how the long undisturbed stretches of coastline provide the perfect environment for nesting turtles including the Endangered Loggerhead Turtles that nest here in significant numbers each year. Spot the kangaroos Emus and Wildlife as we drive through the Baffle Creek Region past picturesque creeks, pockets of native bush and country farmlands. As we encounter wildlife along the way we will stop for photo opportunities allowing you to really experience and connect with nature up close and personal. Before the Highlight of the night we stop for dinner and to watch the sunset over the water in one of the local parks or beaches. All meals and refreshments are supplied on this tour however there is a canteen at the Turtle Centre for anyone that would like to purchase additional refreshments etc. on site. After dinner we enter Mon Repos Turtle Centre where we join National Park Rangers and conservation volunteers on a guided informative and up close encounter with turtles as they come ashore to lay their eggs from November to January and marvel as the baby turtles erupt from their sandy nests from January to make their perilous journey back to sea. Take part in this amazing conservation program and experience something truly magical and unique. Home to some of the most secluded stunning beaches and amazing wildlife varieties on offer in the Agnes Water and 1770 Region. These beaches can only be accessed by a 4x4 vehicle, and really should not be missed on your holiday in Agnes Water. Enjoy the scenic ride as we wind along soft sandy tracks past an array of native plants including ancient grass trees, palm groves, ferns and more. As we encounter wildlife along the way we will stop for photo opportunities allowing you to experience and feel nature up close and personal. Stop at stunning secluded beaches allowing you to stretch your legs, soak up the Queensland sun and go for a swim in paradise. Let us show you some of the most Amazing Rock Pools and natural saltwater pools on offer. Deepwater creek is an incredible natural wonderland and has been recognised as being one of the last undisturbed creek systems in Australia and paddling up the creek in one of our kayaks will surely show you why. Winding past ancient paperbark forests and giant reed beds, watching the cheeky but shy kingfishers as they dart along the creek bank ducking, weaving and following us as we go. Ducks and ducklings line the water ahead and take flight as we round the bends and enter into sight. Jump aboard our luxury 4wd bus and relax in air conditioned comfort as we hit the sandy 4wd tracks, driving through river crossings and up bumpy, sandy terrain until we meet our secluded destination in absolute paradise. Get up close and personal with Kangaroos, Goannas, Pelicans and various other birds and wildlife. Highlights Include: Walk to Ganoonga Noonga Lookout, Driving on Bustard Beach, Tour of Middle Creek Lookout and general area Take a Kayak for a paddle up the creeks and estuary systems or just walk along the secluded sand flats at low tide exploring the creek mouths and seeing what wildlife might be lurking near. Lunch and refreshments are supplied throughout the day. Back on board you can cool down as we travel on to Eurimbula Creek and Bustard Beach to enjoy a little beach driving and a magnificent sunset. Ask us about our Fishing, Camping, Crabbing Tours if you want a real experience with nature and the chance to catch and sample some of the best freshest seafood on offer in this country. Experience Camping Out under the Stars, Campfire cooking and getting back to Nature. 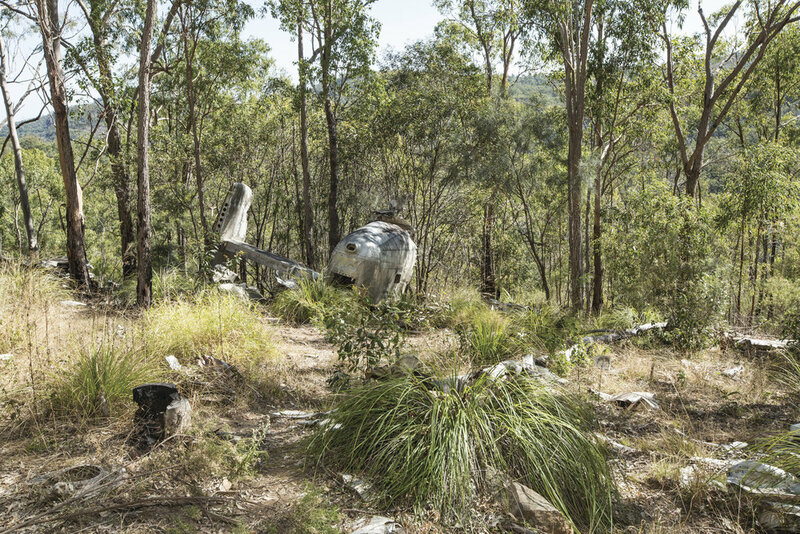 Discovery a world lost in time as we travel through the countryside and up into the ranges in search of Beautiful Betsy the WWII bomber plane that crashed and found her resting place in this rugged and harsh terrain. On the way to the crash site we will be stopping at one of the most amazing look outs on offer in this region providing amazing photo opportunities and views as far as the eye can see. All in a day trip from Agnes Water.